I am only two weeks away from finding out what my latest hba1c result will be. And I am dying to know. In August, I learned that my hba1c had gone up after three months on a pump. I was extremely disappointed at the time, but did take solace in the fact that my BGLs are far less variable than they once were. I’ve been working hard at taming my blood sugar levels over the past two or so months. I do genuinely feel like I am making progress and taking steps in the right direction. But there are definitely still some tough spots that are taking time to work through. Routine has been key to taming my blood sugar levels. Through the week I generally wake up, go to work, have my meals, come home and go to bed at the same time each day. Having that sort of consistency makes it easier to experiment, compare and make adjustments to insulin doses. Nights have probably been the most consistent. I still wake myself to check once through the night. Sometimes small correction doses are needed, but I am waking up in range almost every morning. Mornings are probably the smoothest portion of my day, blood sugar wise. It is still extremely tough to obtain consistent results, because I begin work at 7am with varying levels of physical activity from day to day. While breakfast on Monday left my levels smooth sailing, the exact same breakfast (and an identical waking BGL) yesterday sent me a little higher than I’d like. As much as I try not to beat myself up, this is ever so frustrating! Afternoons have been somewhat tricky to smooth out. I sit down to lunch for an hour at 1pm after a morning of physical activity, which means I need a higher basal rate in action for this hour alone. I go back out to work at 2pm for another hour of physical activity, before finishing at 3pm where I once again need a higher basal rate of insulin. 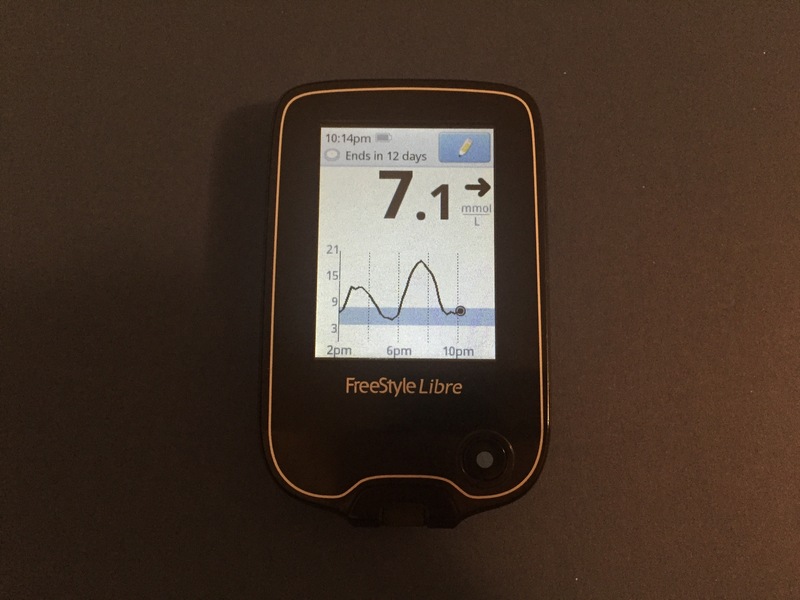 It’s definitely been a loooong game of trial and error, with many curse words thrown towards the sight of upward trend arrows on my FreeStyle Libre. Urgh. Speaking of FreeStyle Libre, it is a lifesaver. Having easy and unlimited access to glucose monitoring means I have greater insight into what’s happening with my levels. Adjustments are easier to make, and I can better respond to highs and lows. Like this low, that rebounded high, and ended miraculously in a steady line. It’s becoming hard to live without it (first world problem, I know…). Evenings are probably affected a little by my afternoon levels, and I’m confident that they will be easier to manage once my afternoon basal rate is right. My evening meal is also a cooked one, meaning that my carb counts are more estimated and varied than others. I am also being super diligent with my eating. I am putting more effort into preparing my meals and snacks through the day. 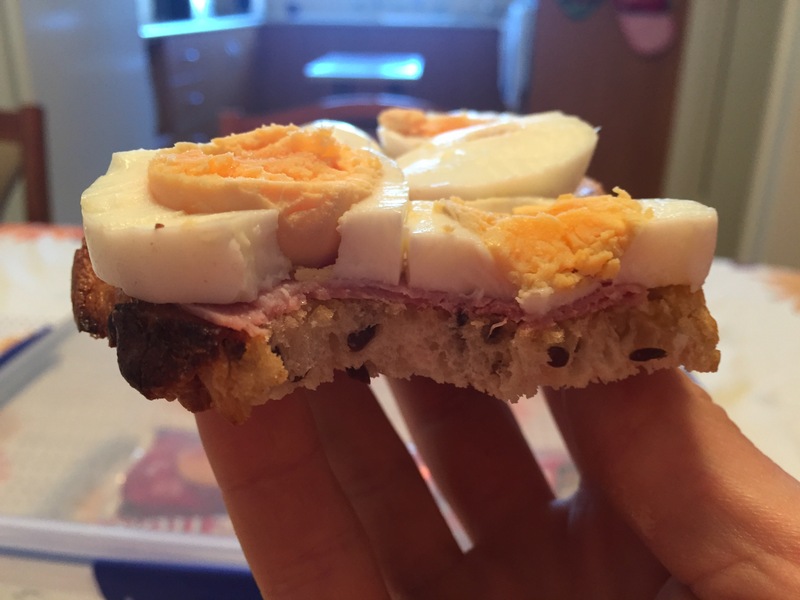 This has definitely resulted in more variety and enthusiasm towards the food in my lunch box (hello ham and eggs on toasted Sourdough), and less of a desire for junk food and unnecessary carbohydrates. I definitely want to expand on this in another post to come. I’m also noticing that my total daily dose of insulin is now both lower and more consistent, which can only be a good sign! Which brings me to now. I am nervous. I have absolutely no idea whether I have done enough to make a dent in my hba1c. I’m trying not to be too unrealistic about my expectations, but I’d be lying if I said I didn’t have high hopes. If my average glucose readings are anything to go by, I’m expecting that I’ll be sitting around half a point lower to where I was in August. I’m determined to make these last two weeks count. And not because I’m scrambling, like I did back in my diabetes juvie days. I’m watching my FreeStyle Libre reader like a hawk, and making those last minute improvements that will hopefully make all the difference. If you’re reading this, then I can only assume that you’re dealing with a type 1 diabetes diagnosis in your family. I’m writing this to offer you and your family some hope as you face a new life with type 1 diabetes thrown into the mix. This is your baby. The decisions you make around managing your diabetes are yours and yours alone. Don’t ever feel guilty for them. How much you decide to involve others in your diabetes and management decisions is up to you. That being said, don’t be afraid to lean on those around you. They will more than likely surprise you. You will feel so much less isolated, and more confident and loved. This is about you, and you alone. People you speak with will want to jump in and give you their two cents worth. Ignore it. What your great aunt’s-brother’s-second cousin did to manage their diabetes certainly won’t hold any relevance to you. You’ll likely look at other people with diabetes and try to draw comparisons to what they’re doing or how they’re managing. It’s not worth it. Everyone with diabetes is different. You’re on your own unique journey, and the way in which you manage your diabetes is completely up to you. Don’t be afraid of the internet. The internet is full of information and inspiration that you might not necessarily receive from your doctor. The internet is a great place for peer support. There are plenty of other people from all over the world online who are in, or have been in your shoes. Speak up. Your diabetes team are likely busy people, and they will likely be pressed for time. Make it clear what you want from them. Use them to get what you need. Everything and anything affects diabetes. Food. Activity levels. Stress. Hormones. Routine. Even sleep! It’s impossible to achieve perfection. You can have days where you feel you’ve done everything by the book, where you’ve done exactly the same thing you did yesterday, and still receive a completely wild result. Don’t beat yourself up over it. You can only do the best you can, while trying to live your life. Because diabetes is 100% something that you fit into your life, and not the other way around. My biggest asset after six years of life with diabetes is time, and experience. With time and experience, you learn. You are always learning! With time and experience, the wiser and better equipped you are to deal with this condition. I can honestly say there’s nothing that diabetes has stopped me from doing. With every passing day, I feel more confident in living with, and managing this condition. So will you. Have a letter of hope you’d like to offer a newly diagnosed type 1 family? Get in touch with Maureen at Mum of Type 1. I had Pizza for dinner on Sunday night. Coincidentally, it was a meal identical to the one I’d eaten for dinner the Sunday prior. Pizza is one of those foods that I could simply eat and eat and eat, and easily lose count of how many slices I’ve had. I’ve been playing around with extended boluses on my pump a lot lately. Although I was extremely tempted to eat more, I behaved and stuck with two slices to keep my experiment on par with the pizza I ate the weekend prior. Last Sunday, I had estimated 30g of carbs per slice, and gave a 30/70 split bolus extended over 4 hours. I went low on the tail end of the bolus, which carried through into the night and left me hypo again after midnight. 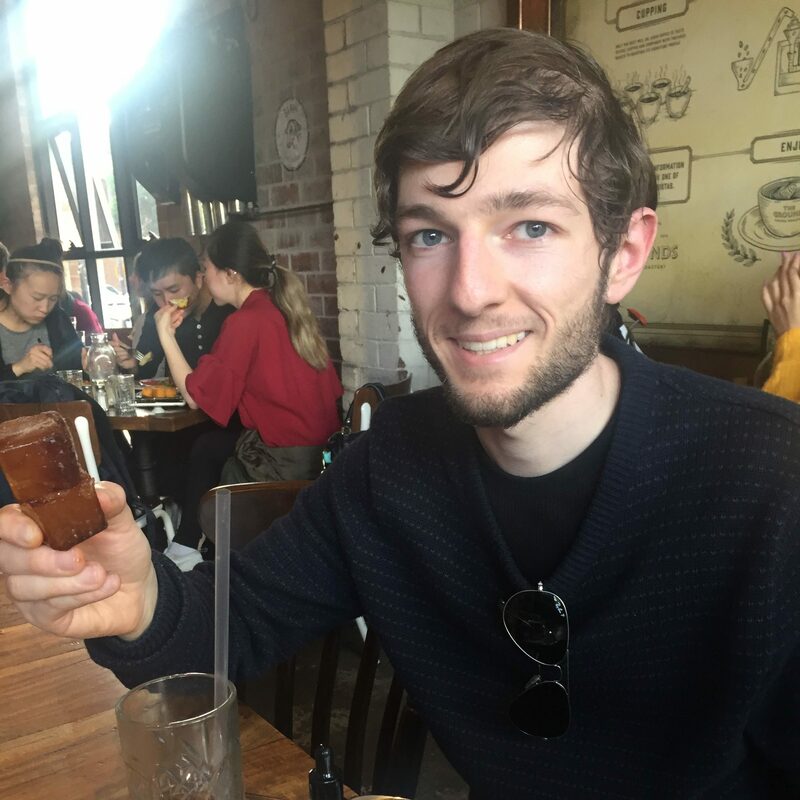 This week, I went for 25g of carbs per slice, and gave a 40/60 split over 3 hours. Levels were smooth sailing through the first two hours of the bolus. By the time I entered my third hour, insulin for 40 of the 50g of carbs had been delivered. Levels were still steady, and I had an inkling that I needed to cancel the remainder of that bolus. Intuition proved right, and I was bordering on hypo territory within an hour of cancelling the bolus. By some strange miracle I managed not to over treat my hypo, and ended up at a perfect 5.9 mmol by bedtime. By 1.37am, I found myself slightly hypo at 3.8. Being uber cautious not to over treat once again, I ate 5 skittles. When I woke up at 5.45am, my blood sugar was 3.4. I honestly don’t know what I felt more guilty for – running low for more than four hours or for sleeping over it. You know how some people with diabetes say that certain foods just aren’t worth the effort? I’m starting to think that Pizza might be mine. When I want to eat a donut, I can simply back up the math with a pre-bolus and avoid the skyrocketing levels. But with Pizza, the effort is full on. The low defies logic. I’m struggling to understand how I could end up so low. I find it impossible to believe a slice of pizza had fewer than 20g of carbs in it. I’m doubtful I need to spread out my extended bolus for longer than 4 hours. No matter how many different variations of extended boluses that I try, I always seem to end up low on the tail end. Then there’s the night spent warding off lows. It’s been a while since I’ve had a night like that one. Sure, I still wake myself through the night to check my blood sugar levels. Some nights small correction doses are needed. But I normally go back to sleep and wake up in range by morning without even remembering anything. Nights where I wake up sweaty and shaking are a rarity these days. Yet an extended insulin bolus that runs much closer to my bedtime than normal, was enough to bring me back to the days of Lantus lows. I never thought I’d say it, but maybe the day has come that Pizza is not so bolus-worthy anymore.